Make sure you always have power with the Power2Go 10 10,400mAh Power Bank from Pom Gear. This power bank gives you the ability to charge your mobile device whenever, and wherever, you need it. This power bank lets you charge up to 3 devices simultaneously. Both USB Type-A and one USB Type-C port outputs power at 5V/3A. The USB Type-C port also doubles as an input, recharging the Power2Go 10 at 5V/2A with an optional cable. You can also recharge the power bank with the included micro-USB cable at 5V/2A in just 5-7 hours. However, out of the box it does come pre-charged and ready to use right away. 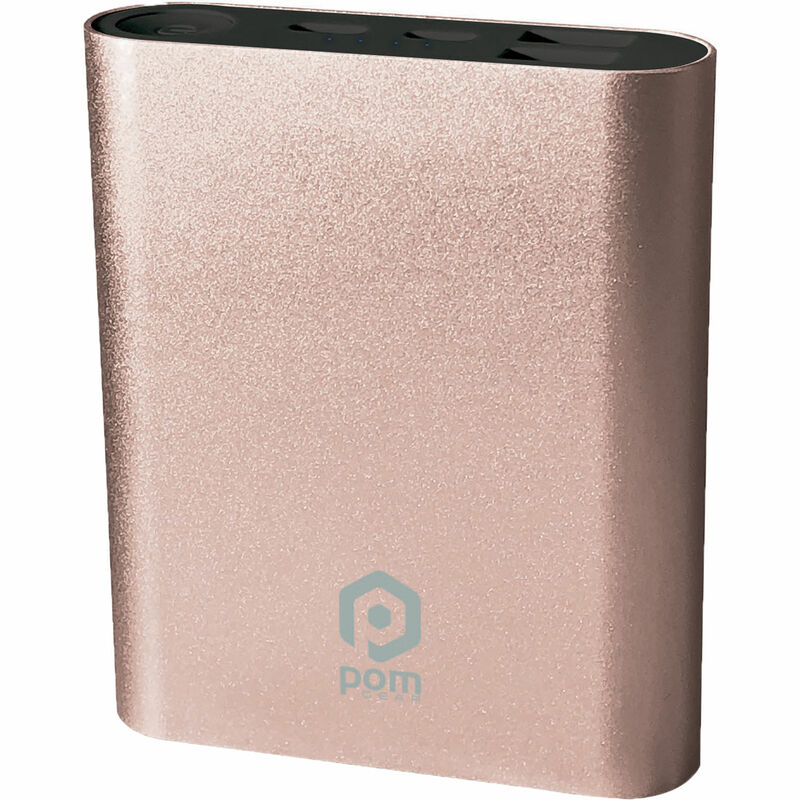 Box Dimensions (LxWxH) 5.6 x 4.4 x 1.3"
Power2Go 10 10,400mAh Power Bank (Rose Gold) is rated 5.0 out of 5 by 2. Rated 5 out of 5 by James from Compact power I have only used it a few times. First use was to juice up my iPhone X after a long day of calls and it worked great. Now I carry it to power my Sony a6500 using a dummy battery. I can shoot 4K to my hearts content and not worry about the battery. Note I got this on Black Friday deal so it really made for a good deal.